"Highly effective and charismatic theatre." - VILLAGE VOICE, New York. Director Paul Stebbings explores the depths of this tragedy and its central conflict between love and death. "West Side Story" and Leonardo di Caprio's recent gangster version cast long shadows on this delicate play. But this is not a play about poor urban street fighters, nor a play about racial conflict. The Capulets and Montagues are of the same caste and share the same values. Their retainers fight on the streets. Shakespeare is criticising their joint values, which are those of powerful families. This is, of course, the stuff of tragedy: when the mighty sin the state trembles. The "star crossed lovers" deaths expose the follies of the vicious clan warfare that their families perpetuate. Those families are reformed and reconciled. None of this makes any sense if Romeo is some broke and hip street kid. The Montagues and Capulets are two sides of the same coin. They are also Italian. 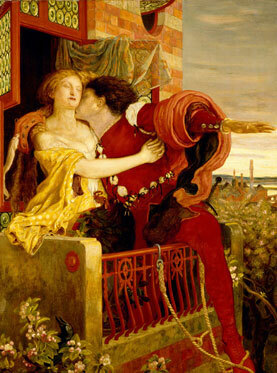 And so one starting point of our production is to stay with Shakespeare's torrid Latin setting. We choose to locate the production in Baroque Italy - the world of Casanova, Don Juan, Vivaldi and Bernini Italy, where clan violence, dignity, aristocracy, Catholicism, arranged marriages and chaste love are all imaginable. A world where the symbolic becomes real is a myriad statues and paintings that flit between love and death - Eros and Thanatos - the tension at the heart of this bloody romance. The play is highly stylised, masked balls and ritual violence form set pieces. We employed stylised choreography and once again commissioned a live musical score from a leading composer. While establishing a rich theatrical environment we also strived to maintain a shakespearian style that relies on the actor's skills and audience's imagination rather than complex settings and design. 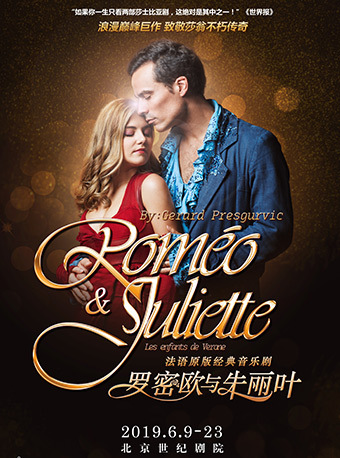 "Romeo and Juliet" is one of the most popular plays ever written, we aim to present it with its poetry and romance intact, while delivering a powerful, stylised drama. TNT theatre was founded in 1980 in Britain and since has established itself as one of the most popular international touring theatre companies in the world. Last season alone the company produced seven productions in almost thirty countries worldwide, ranging from Shakespeare classics such as ROMEO & JULIET to their own new play HITLER KILLED MY CANARY, from works by contemporary artists such as Paul Auster's MOON PALACE to the classic seasonal show: Dickens' CHRISTMAS CAROL. Since 1993 the company has been in collaboration with the American Drama Group Europe. The artistic director of TNT is Paul Stebbings, whose work has won many awards at, for example, the Munich Biennale, the Edinburgh Festival, the Tehran Festival and from the government of Singapore. Other notable festivals in which the company has participated are the International Off-Broadway Festival in New York, the Tokyo International Theatre festival and the summer festival of the British National Theatre. TNT has also collaborated on co-productions with major venues such as the Athens Concert Hall and the St Petersburg State Comedy Theatre. The company style aims to integrate all the performing arts. TNT productions always include a specially commissioned score by a leading composer. The director always works with a choreographer and the ensemble actors are chosen for their ability to cross the disciplines of theatre, music and dance.